Crate 502! A/C, Pwr Steering, & Pwr Brakes! Ready for a cross country trip! (58) Photos Printable Brochure Apply For Credit Text Us About This Vehicle! This Amazing 68 C10 received a Frame Off Nut & Bolt rotisserie restoration at the expense of nearly $80k! 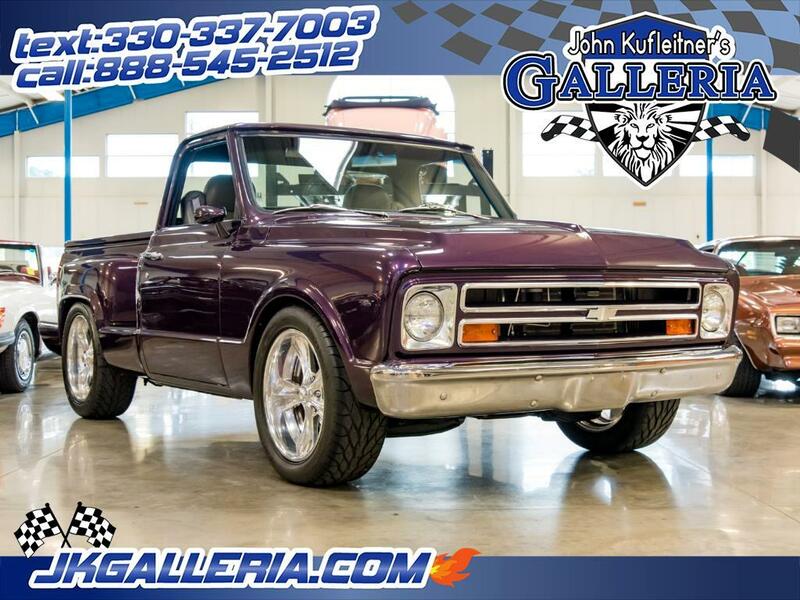 The result is the Pristine restored Pro Touring truck with Only 2k miles on it since completion. Powered with a ZZ 502 V-8 crate engine that is reported to have a 502 horsepower output. All of the badges have been removed; the vent windows removed and full power windows have been added. The stepside shortbed cargo box is from a 1991 Chevrolet and other refinements include custom power seats, matching center console, air conditioning, power steering, power four-wheel disc brakes, dual sport mirrors, 20-inch Billet Specialties five-spoke wheels, performance-oriented rubber, bed tonneau, finished bed and eye-catching billet hardware. This truck has been inspected, it is truly turn key. Everything works as it should and is ready for a cross country trip. Fly in and drive home or I can assist with shipping anywhere in the world. Have questions? Call or Text Jaison at 330-383-1566. Message: Thought you might be interested in this 1968 Chevrolet C10.